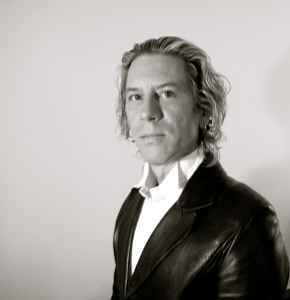 William Basinski is an experimental musician and composer currently residing in Los Angeles. Classically trained, he has worked with various forms of experimental media for nearly 30 years, mostly in New York. One of his main compositional tools is the tape loop on reel-to-reel machines, and these also play the main role in his live performances. His work has been released by a variety of internationally-based labels, including his own 2062 label. I love the new profile picture! Increasingly my go-to artist for relaxing and pensive moments. His music is a little bit of sadness but i realy adore it.hearing his first album i new that was my kind of thing.thank you william for your music. Was that partly what was behind your releasing W. Basinski's Shortwavemusic on Noton? In a way. As I was listening to that piece, it reminded me of that shortwave radio [growing up]. And it's surprising that those pieces are so fresh -- he'd done them in '82. A funny time, because one year later Brian Eno released the first of the Ambient series. So by then, I was already listening to that kind of music. And it hasn't lost its power, 16 or 17 years later. He did a lot of other pieces as well, shortwave pieces, a little bit different. If you listen to them, sometimes they're really close to Oval.